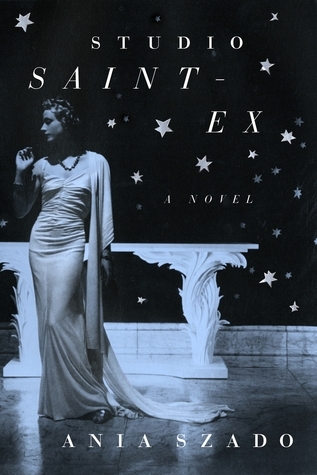 Set in Manhattan and Quebec City in 1943, Studio Saint-Ex is a fictionalized account of the love triangle among Antoine de Saint-Exupéry, his mercurial wife, Consuelo, and a young fashion designer. Mignonne Lachapelle leaves Montreal for New York to make her name, but is swept away by the charms of France’s greatest living writer. Nothing about their relationship is simple—not Antoine’s estranged wife who entangles Mig in her schemes to reclaim her husband, not his turmoil, and certainly not their tempestuous trysts or the blurring boundaries of their artistic pursuits. Yet the greatest complication comes in the form of a deceptively simple manuscript: Antoine’s work-in-progress, The Little Prince, a tender tale of loneliness, friendship, love, and loss in the form of a young prince fallen to earth. Despite excellent descriptions and writing, I really had trouble getting into the book. I think that perhaps it was because I didn't find the story itself that appealing. Despite that, the dialogue and descriptions in Studio St. Ex are rich and full of incredible detail. For anyone interested in modern historical fiction and fashion, this will probably be a book you will very much enjoy. Ania Szado has created a very intriguing novel full of lots of realistic and factual details that any history buff will lap up. There is an interesting story entwined between the two women and the author of Le Petit Prince that is the focus of this literary tale that made me long to read that book again since it has been since I was a child since I have last read it. The story is a deft look at ambition, passion and desire that shows just to what lengths someone might go to get what they want. The story is something that is quite epic in its own way and will stay with you long after having been read. Thank you to Penguin Canada for our review copy. All opinions are our own.